After much delay and the re-running of the election in a couple of districts because of election violence, the final result of the Sri Lanklan general election was announced on Wednesday, 21 April. A record 7,680 candidates contested 196 seats in 22 electoral districts in the 14th parliamentary election in Sri Lanka held on 8 April 2010. Thirty six political parities and a large number of individuals participated. ; 836 candidates stood in the Colombo district alone. These figures were paraded by the ruling class as a sign of a flourishing democracy. They claimed it was a ‘new beginning’ after 30 years of civil war, which was brought to its brutal end in May last year. But this talk of ‘flourishing democracy’ is far from the truth. In fact this election registered a record low turnout, with the average ranging just above 50%. The lowest turnout was in the Jaffna district with just 18%. If the internally displaced people (IDPs) were included, this only rose to 23%. This was the lowest turnout in the country’s history since its independence from British colonial rule. This is a shocking result as Sri Lanka has a long history of high turnouts of somewhere around 80% in elections. In the last election it was 76%. The lowest ever was 64% in 1989. This election was also marked by a record increase in violent intimidation and corruption. Around 1,000 complaints were recorded. On the day of the election, the Centre For Monitoring Election Violence (CMEV) recorded 84 major incidents, including 53 incidents near the poling stations and 189 violations of electoral law. But the actual number is believed to be even higher as the monitoring agencies were prevented from functioning properly. The seriousness of the violence and violation of electoral law resulted in the suspension of ballot-counting in 34 poling stations and re-elections had to be called in two districts – Trincomalee and Kandy and was rescheduled for 20 April, after the Tamil/Sinhala new year holiday period. Ruling party ministers and thugs are reported to have taken control of polling booths and chased away opposition supporters, preventing them from voting. The media was barred from the vicinity of the polling stations and a number of journalists faced intimidation and threats. All the government-controlled media was used directly and indirectly to campaign on behalf of the ruling party. A number of opposition activists and politicians, as well as journalists, are still in prison. Even the ex-General, Sarath Fonseka, who stood against president Mahinda Rajapaksa as the main opposition candidate in the recent presidential election and polled over 40% is held prisoner. He has now won a seat in the Colombo district from his imprisonment. With such intimidation tactics, the election resulted in a major victory for the incumbant United People’s Freedom Alliance (UPFA). The UPFA won 144 seats, while the main opposition, the United National Party (UNP), only won 60 seats. 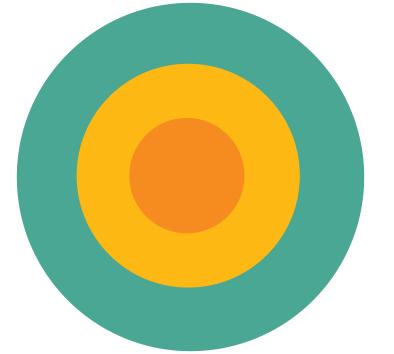 The main Tamil party, the Tamil National Alliance (TNA), won just 14 seats. In the last election in 2004, the TNA, backed by the Liberation Tigers of Tamil Eelam (LTTE), won 22 seats. Significantly, the Sinhala chauvinist party, the Janathā Vimukthi Peramuṇa (JVP, People’s Liberation Front) contested under the new name of Democratic National Alliance (DNA) and won just 7 seats, a massive reduction from the 39 seats they had after the last election. It was a crushing defeat for the the main opposition party, the United National Party (UNP). The workers and poor do not trust that a bourgeois party, the UNP, can provide any real opposition to the Rajapaksa regime. The UNP’s main interest is with implementing neo-liberal capitalist policies as dictated by the west. There is no room for the improvement of the working and poor masses’ life in their policies. 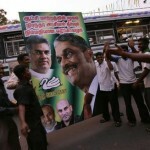 With diminishing support, the UNP may well face more crises in the near future. As they do not represent the interests of the ordinary masses, they may have to be ready for a longer ‘sleeping period’ without power which will definitely be exploited by the Rajapaksa regime. Rajapaksa also expected to take personal revenge against the JVP which vigorously campaigned to get him elected as president in 2005. The JVP has always dressed up chauvinism and nationalism in Marxist phraseology and championed divisive policies. This cowardly approach played a key role in turning significant layers of the working class towards Sinhala chavunism and to support for the Rajapaka regime. The JVP opposed all sorts of political solutions or any sort of devolution of power to the Tamil-speaking minorities. They glorified and mobilised support for the war even after they split away from the ruling coalition. 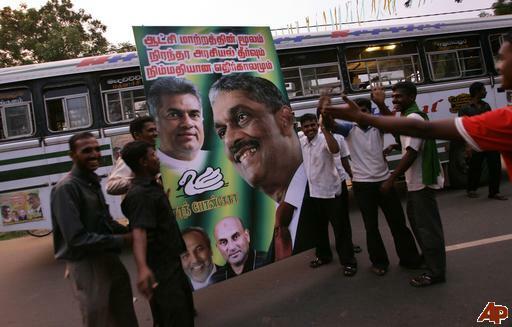 In order to rally behind the war victory mania, they joined forces with the ‘dissident’ General Fonseka and the main bourgeois party, the UNP, to challenge Rajapaksa. Having arrested Fonseka to consolidate his support, Rajapaksa may now turn towards his old ally, the JVP. The JVP is now weakened by its crushing electoral defeat and faces serious crisis. They also cannot escape the mounting pressure form below from the workers for mass action. They are incapable of leading any mass opposition of the working class. Rather they will continue to rely on chauvinist propaganda to win some support away from Rajapaksa. Doing so, they have opened up the way for Rajapaksa to attack any workers’ movement in the name of fighting ‘terrorism’ – either of the LTTE or the JVP variety. This victory for the UPFA is seen as a victory for Sinhala, Buddhist chauvinism and its proponent, President Rajapaksa. The post-war victory mania, whipped up by the Rajapaksa ‘clan’, consolidated its chauvinist support after his re-election when he forcefully removed his opponent, and ex-Sri Lankan army general, Sarath Fonseka, imprisoning him for at least the duration of the general election. Fonseka, who collaborated with the government in the brutal war against the rebels (Liberation Tigers of Tamil Eelam), posed as a threat and potentially could have split the Sinhala majority vote. The UPFA manifesto claimed that: “Sri Lanka is an emerging wonder of Asia”. The economy is expected to grow by an average of up to 6% in 2010, which is being used by the ruling class as the sign of a prosperous future. But this growth lags behind the growth that existed during the peace negation initiated in 2002. With public debt at over 80% of GDP and a massive budget deficit, the economy had to be rescued by an IMF loan of $2.6 billion granted in 2009. The ruling elite refuse to talk about the increase in poverty and the massive price increases on essential items. The promised so-called ‘peace dividend’ has not materialised for the majority of the working and poor population. But, the boast of being an ‘emerging wonder’ plus the war mania, continue to help the ruling party to mobilise support. Using this opportunity, the Rajapaksa clan aims to strengthen its power by changing the constitution. Having come very close to the two-thirds majority they wanted, the UPFA is now expected to ‘buy’ opposition MPs – to get them to cross the floor and provide the two-thirds majority they want to give them power to change the constitution. The proposed constitutional changes would be a disaster. As part of the change, the government is proposing a ‘senate’ which will include unelected ‘religious leaders’. Even without any legal power to have their say within the government, communalist Buddhist monks and other religious leaders have played a divisive and racist role throughout the history in Sri Lanka. The Buddhist monks’ party – Jathika Hela Urumaya or National Heritage Party (JHU) – is one of the most right-wing racist, communal parties in the country. It is part of the UPFA and contested in Colombo, Gampaha district. JHU candidates won a significant victory in this election. In fact the candidates who are closest to president Rajapaksa and who are the most communalist, came on the top of many UPFA lists. That is why this election is seen as a victory for the hard-line Sinhala Buddhist nationalists. Another hardline Sinhala nationalist, Wimal Weerawansa, came first in Colombo. Wimal was a leading member of the JVP, and stayed with the ruling UPFA during the split away of one part of the JVP in 2008. Among the 11 former JVP MPs who decided to stay with the ruling party, Wimal and just one other candidate were the only two to retain a seat. Hard-line communalists within the UPFA were also responsible for violence, even against their own members. Inter-party violence was one of the main features of the election violence where Communalists close to Rajapaksa attacked everyone, including their members, and intimidated voters. As a result, Sinhala chauvinist forces have ‘triumphed’ in the election, coming first in many parts of the country. The widely feared and brutal Rajapaksa family is at the centre of control in Sri Lanka, and with Sinhala chauvinists around them. No one is expecting any step forward in the future and there will be no room for political solutions. There is no mention of the rights of the Tamil-speaking minorities in the proposed constitutional changes. A so-called political solution is unlikely. The president fooled everyone for years with an All-party Representative Committee (APRC), set up to work out a political solution. But nothing will come out of it. All they can manage is something that will be acceptable to the Sinhala nationalists. There will not be a genuine attempt to reconcile or fulfil the national aspirations of the Tamil-speaking and Muslim minorities. Even before the election the president announced that all the newly elected Tamil MPs must meet him after the election to ‘discuss’ the Tamil people’s problems! This means that the Tamil MPs will be forced to do the president’s bidding. Just as in the presidential election, a large number of Tamil-speaking people did not participate in this election, held just weeks afterwards. The lowest turnouts were recorded in the north and east, where a majority of the Tamil-speaking people live. Those who voted showed courage by rejecting the war-mongering ruling party and paramilitary forces. The TNA leaders announced before the election that they supported ‘Tamil nationalism’ while at the same time assuring the government that they are now committed to a solution within a unitary state. The TNA won 14 seats and came higher than the rest of the Tamil parties. Despite losing a number of seats and getting fewer votes than in the 2004 election, the final result was a significant victory for the TNA. All the TNA MPs that split away from the TNA to form new parties and to stand independently in the run up to the election were defeated. This was partly because they did not put forward any programme that was distinguishable from the TNA. Apart from declaring that they are very committed to the ‘Tamil national liberation struggle’, they did not say anything about how they would go about securing a better life for the thousands who suffered greatly in the long war. They concentrated their campaign in attacking TNA than attacking ruling Rajapaksa party. They also did not get any support from the Tamil media, which now only reflects business interests and sees the TNA as their natural ally. In fact the proprietor of the leading Tamil newspaper in the north, ‘Udayan’, stood for the TNA and has now won a seat. Mr Saravanabavan who also controls another paper ‘Sudar oli’ used both papers to vigorously campaign for him and the TNA. In the past he had been accused of fiddling with the finance company called ‘Shabra’ and using students as ‘training staff’ without pay to work in his news paper. In an attempt to distance themselves from their past connection with the LTTE, the TNA had de-selected their ‘Tiger’- nominated MPs for this election and selected so-called ‘moderate faces’ such as that of Saravanabavan. Others include devout Hindu leaders! None of them come from a background of fighting for the rights of the Tamil-speaking masses. This has caused dissatisfaction among the Tamils in the Diaspora, some of whom criticised the TNA leaders. However, this had a little impact as the Diaspora’s criticism were hardly reported in the local media in Sri Lanka. The truth is that there not a single serious ‘Tamil alternative’ existed for Tamil-speaking people to identify with. Only in the absence of this was the TNA able to pose as an ‘umbrella organisation’ that the Tamil-speaking voters could choose in order to save themselves from the embarrassment of voting for either the UNP or the ruling UPFA, both of which are seen as ‘Sinhala parties’ based in the south. The TNA has become increasingly pro-business. TNA leaders did not show any opposition or raise any doubts regarding the government’s investment plans in the North and East. Instead, they encourage businesses and particularly the involvement of India. UPFA 37,522 (won two seats), UNP 12,783 (won one seat). UPFA -12,011, UNP -5,497, ITAK -2,527. It is impossible to imagine that the displaced people – bombed, brutalised, put in detention centres – opted to vote overwhelmingly for their persecutors. This not only shows how the election was conducted, but it also gives us an indication of what is to come in the future regarding any political solution. As the brutality of the war indicates, they will impose a so-called ‘solution’ that is agreeable to the Sinhala chauvinist forces around the Rajapaksa clan. The president’s election manifesto, with its uncanny name ‘Mahinda Chinthana’, which means ‘the thoughts of Mahinda’, stated that in the north they will continue with what they have been doing in the east. No improvements have been made through the so-called ‘Eastern Revival’ programme. Now the promise of a so-called ‘Northern Spring’ programme does not create any enthusiasm among the poor and workers in the north. The so-called ‘Eastern Revival’ programme was dictated from the presidential office. It ignored the entire eastern provincial council and the wishes of Tamils and Muslims living in that area. Eastern Chief Minister, Sivanesan Chandrakanthan, alias ‘Pillayan’, was used as a ‘puppet’ and all his demands for some sort of control in the region were rejected. However, the election result was a humiliating defeat for ‘Pillayan’, and his Tamil Makal Viduthalai Pullikal (TMVP) . They did not win any seats and only managed 16,886 votes in the supposed stronghold of the Batticaloa district. ‘Pillayan’, who is part of the pro-government paramilitary groups, supported all the brutal policies of the government. The armed para-military group around him is hated due to their violent activities in the region. When he was made a Chief Minister, he demanded some local power. He also requested the removal of a government-appointed governor who was an ex-navy man and well-known locally for his thuggery, arrogance and corruption. The government simply refused all demands. This is the so called success story of the ‘eastern revival’ and government is preparing to repeat this in the north with ‘northern spring’. Even the very basic demands of the eastern chief minister, who was an ally of the president during the war, were not met. There is no point in holding illusions that any solution will come out of this government to reach out to Tamil-speaking people’s aspirations. Some commentators even believe that a section of the TMVP, which still possesses weapons, may provide a base for revival of armed opposition to the government. There is also fear that a section of heavily defeated JVP members will also try to take the route of taking up arms against the government, which they have done on many occasions in the past. The defeat of the LTTE and the ferocious nature of the government in attacking its opponents mean there are diminished possibilities of any armed struggle developing in at least the next few years. However, growing discontent and anger still mean a threat is posed of young people taking violent measures. The need to build mass opposition against the ruling class in Sri Lanka is more crucial than ever. We need a mass organisation that will defend democratic rights, freedom of speech and the Tamil-speaking people’s right to self-determination. Thousands of internally displaced people are still kept in detention centres. Those who are serious about creating a fightback must come together. We will welcome those prepared to form a strong working class mass opposition to the Rajapaksa regime and to capitalism in Sri Lanka and throughout the region. May day greetings 2010: Fight repression: அதிகாரத்துக்கு எதிராக ஒண்றுபடுவோம்.